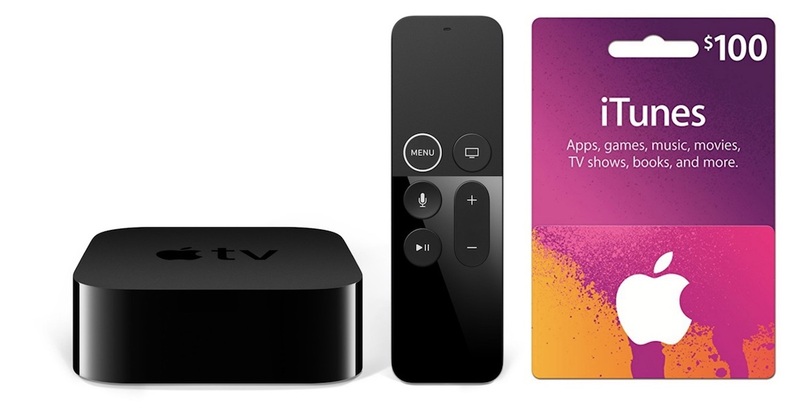 If you're waiting for the new Apple TV 4K to arrive tomorrow, Apple has already opened up the ability for you to purchase 4K HDR movies on iTunes as of last week. Although any movie you own in HD will be automatically upgraded to the enhanced 4K HDR format, Amazon is offering customers the chance to increase their iTunes film collections this week with a discount on the $100 iTunes gift card tier, being sold at $85 right now with free shipping (limited to one per customer). That'll let you purchase five full-priced movies on iTunes for nearly the price of just four, and you can of course still use the gift card to buy any app, game, song, album, TV show, or book sold by Apple. There isn't currently a discount on the other price tiers of iTunes gift cards, so $50 and $25 cards on Amazon are priced at their respective levels. 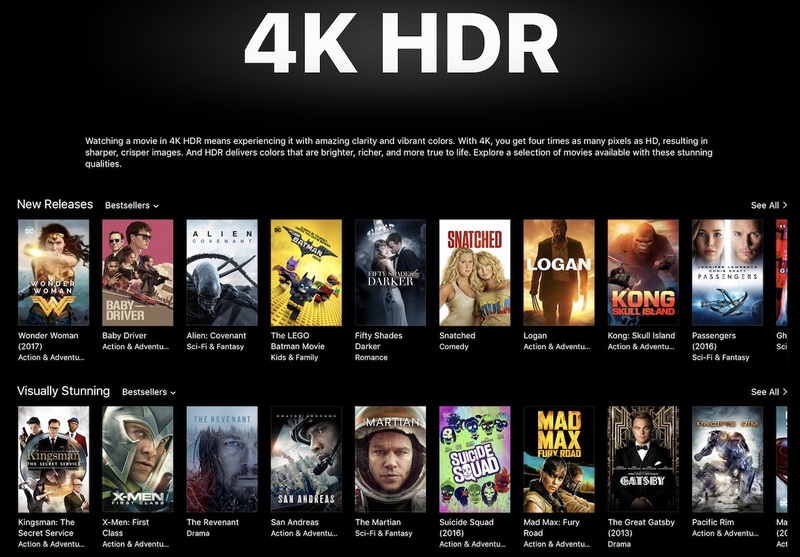 Studios currently supporting 4K movies on iTunes at $20 include 20th Century Fox, Lionsgate, Paramount, Sony, Warner Bros., and Universal Pictures. New releases available to purchase today include Wonder Woman, Baby Driver, Alien: Covenant, The LEGO Batman Movie, Logan, and many more. Currently, Disney is the only studio holding out from releasing its films in 4K on iTunes. Head over to our Deals Roundup to discover more recent and ongoing discounts, including sales on Jaybird and Jabra headphones at Best Buy, over 50 percent off a Thule Stravan Deluxe Attache for 13" MacBooks at B&H Photo, and an updated roundup of Qi inductive wireless chargers. It’s worth noting that these cards can be used for 12 months of Apple Music for $99, effectively bringing the cost down to about $7 per month. Timely gift, but sadly no higher than frequent and customary discounts on those cards at places like Walmart, etc. But if you have an Amazon Prime VISA, you get an additional 5% cash back. True! That's what I did for my current subscription period. Never seen the $200 but most Costco locations have $100 (4 $25 cards in a package) for $84.99. It comes around usually every 2-3 months. Start expanding your 4K movie collection today by purchasing people's unused digital download codes 25-90% off. And 2% back on things like gas and eating out, 1% back on everything else. I put everything through that card now (except things you can't like mortgage, utilities, etc) and shop heavily at Amazon and have earned nearly $500 in Amazon credit in the past year. This is one of the best cards out there. I'm going to use the credit towards getting a new mirrorless camera, hopefully this autumn. If you are a Costco member, they occasionally have $200 iTunes cards for $165.